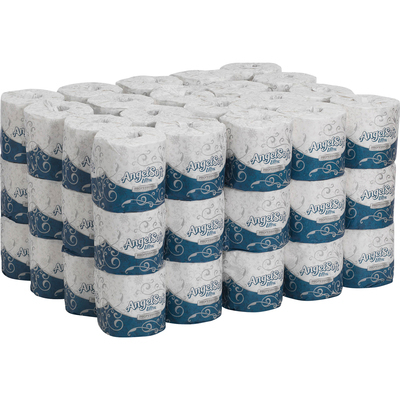 Quality embossed bathroom tissue provides the softness of an "at-home" tissue. Pampers your guests and employees with a touch of luxury. Made from wood that came from a certified managed forest.